Home LISTEN! SWTOR Escape Pod Cast 73: The Ravagers Walkthrough! SWTOR Escape Pod Cast 73: The Ravagers Walkthrough! This week @AIESema, @MaxTheGrey and Astromech EPC-73 present a walkthrough of the story, fights, and hilariousness in The Ravagers, one of the two new operations for the Shadow of Revan expansion. We also cover news for the week from SWTOR in general and from our guild, Alea Iacta Est. SWTOR Escape Pod Cast 72 – 2015 Wishes and Predictions! 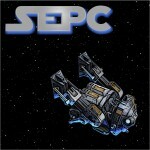 SWTOR Escape Pod Cast 74: Gambling? I’m Shocked!